While the rest of the city mourns the warm summer months, I'm already preparing myself for pumpkin spice, plaid scarves, and the changing temps. Fall is almost here, and I honestly couldn't be happier! 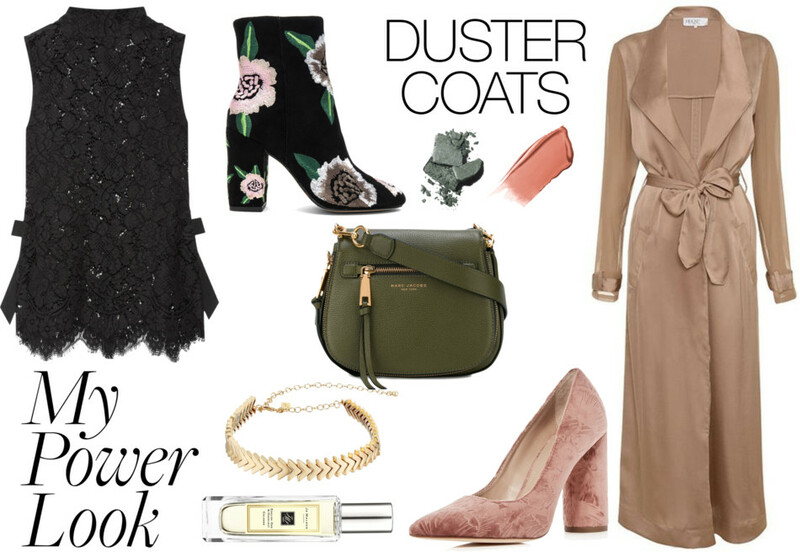 With the cooler months (I mean, I live in the Valley, so of course any reprieve from the heat is bound to excite me) brings cooler fashion: creative layering, more fabric choices, and some of my favorite pieces. I'm already preparing my shopping cart (and credit cards) for Fall 2017's biggest fashion trends, which includes brocades, embroidered prints, and rich hues like forest greens and vibrant burgundy. Check out my shopping wishlist below as well as some of the other pieces I'm craving for September!